When Mary started hand carving a cottonwood tree into a dugout canoe, Amy knew they were in for an adventure. Spurred by their love of Lake Michigan and a desire for a challenge, they dreamed big. 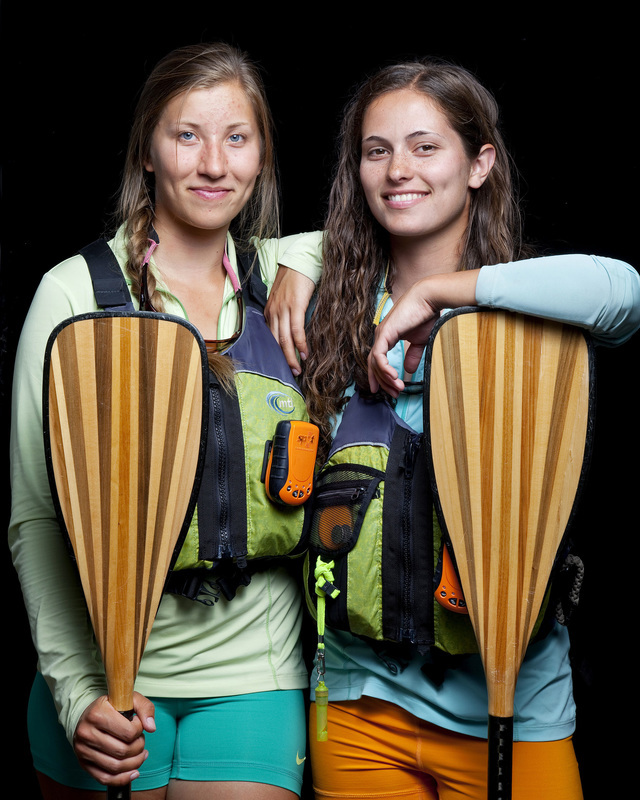 Both Amy and Mary were relatively (okay, completely) new to long distance paddling/sailing expeditions when they set off on their 1200 mile journey around Lake Michigan aboard their handmade dugout sailing canoe in the summer of 2012. Amy and Mary are both relatively (okay, completely) new to the realm of book & film, but they thoroughly enjoyed the process of telling a story they love. Their 93 day adventure has recently taken the form of a full length documentary detailing the ins and outs of their dream coming to life (and soon a published illustrated journal). They hope to inspire others to follow their dreams, no matter how ridiculous. When asked what is currently taking up their time as 26 year olds, frequent answers include speaking, writing, creating, and adventuring on the southern shoreline of Lake Michigan. Side jobs include non profit work, surf instructing, traveling, and ice cream scooping. Makeba, their dugout sailing canoe, is enjoying her life as a show boat after being featured in an exhibit at the Porter County Museum of History. For most of the last century, entry-level jobs were plentiful, and college was an affordable path to a fulfilling career. That world no longer exists. 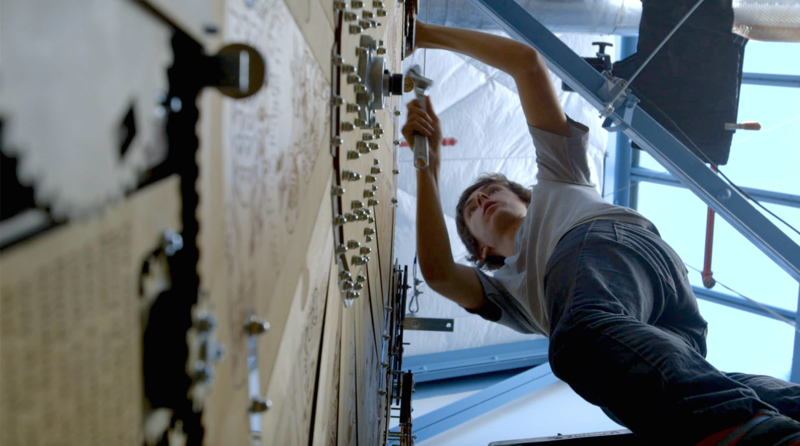 The feature-length documentary Most Likely to Succeed examines the history of education, revealing the growing shortcomings of our school model in todayʼs innovative world. Directed by acclaimed documentarian Greg Whiteley, the film has been named “among the best edu-documentaries ever produced” by Education Week. The Huffington Post stated that Most Likely to Succeed “delivers a message Americans need to hear, and desperately.” Film Threat said, “This film should be a required course for all parents and educators.” There are a few things that distinguish the film from other documentaries on education. First, its artistic quality is extraordinary, and the story it tells will hold the attention of your audience. Second, it points to the critical issues affecting education today and con-veys the urgency for moving our school into the 21st century . . . but in an inspiring way. Finally, the film poses questions rather than attempts to shove a point of view down the throats of the audience. As a result, we find people across a wide range of audiences engaged and inspired by the film, with lots of energy and commitment to a future of possibility. 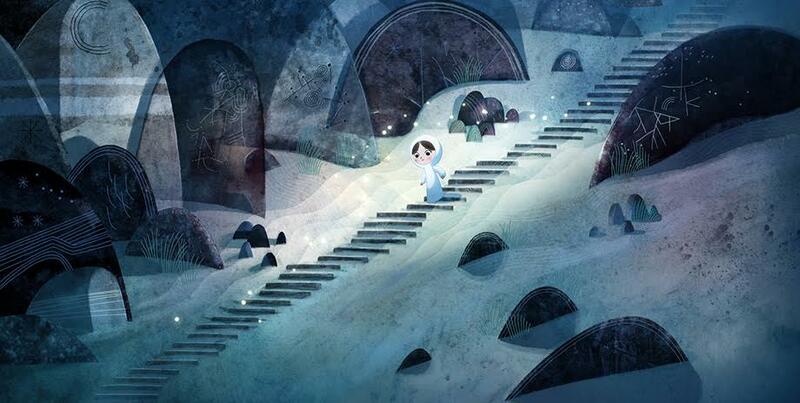 Song of the Sea was produced by Cartoon Saloon in co-production with European partners Melusine Productions (Luxembourg), The Big Farm (Belgium), Nørlum (Denmark) and Superprod (France), with the support of The Irish Film Board, Broadcasting Authority Of Ireland, TG4, Section 481, Eurimages, Luxembourg Film Fund, Wallimages, Centre du cinema et de l’audiovisuel de la Fédération Wallonie-Bruxelles, Danish Film Institute, West Danish Film Fund and Danish Radio. Co-Producers Kathy Eldon Dying to tell the Story (TBS), Soldiers of Peace, a Children's Crusade (CNN), and Global Tribe (PBS). Together with Julia Roberts, Kathy exec-produced Extraordinary Moms (OWN). An independent documentary feature film,IMBA MEANS SING proves the power of music and the empowering impact of an education. IMBA MEANS SING is the story of one little boy who is a big star. 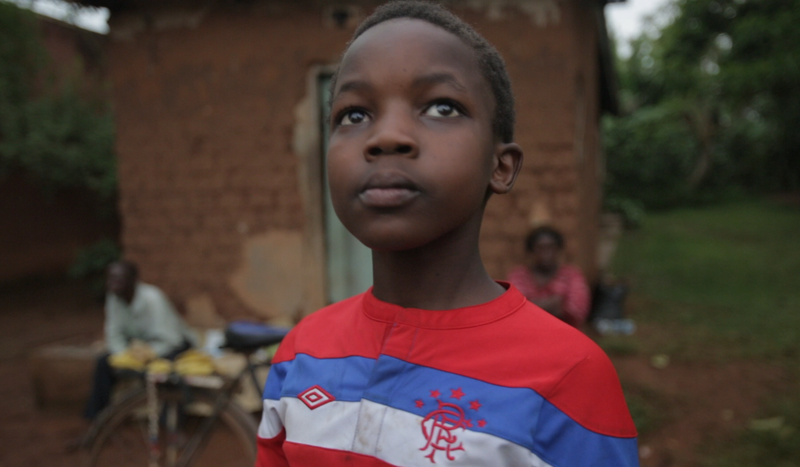 As the celebrity drummer from the Grammy-nominated African Children’s Choir, Moses relies on his youthful resilience. Growing up in the slums of Kampala, Uganda, Moses and his family lack enough resources for him to even attend the first grade. Moses is only eight-years-old when the film begins – yet he knows all too well that this is a once in a lifetime opportunity to secure his future and change the course of his family’s life. 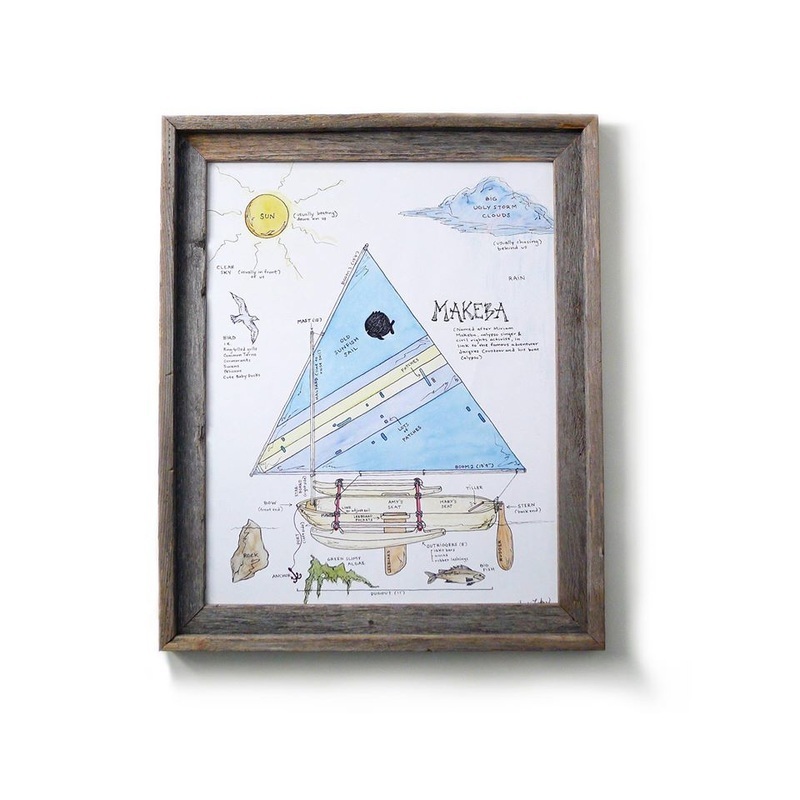 We follow Moses as he works for an education and spreads the magic of his African childhood. The film is an intimate character portrait, stunningly shot and told through Moses’ perspective on his one shot journey from poverty towards his dream of becoming a pilot. He is joined by two fellow Choir members – Angel and Nina – as audiences experience Uganda and the West through their inquisitive and joy-filled eyes. We share the heartbreak, homesickness and candid humor: Moses loses his drum solo, Nina yearns for her mom to get a job, and Angel pushes herself to become the first female President of Uganda. As we follow the children home, one thing is certain: life as they knew it will never be the same. Our goal is to leverage IMBA MEANS SING through audience outreach and engagement to raise awareness and support for music education locally and equal access to education as a human right globally. 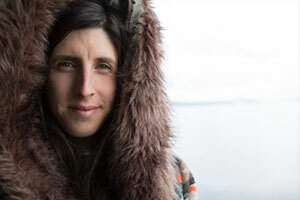 Danielle Bernstein is an award winning filmmaker dedicated to creating work that addresses environmental and social issues. Danielle founded Clear Films Productions, an independent film production company that partners with organizations who can offer solutions. She has worked extensively as a director, producer and director of photography on documentary films as well as non-profit media campaigns. Her directorial debut, When Clouds Clear, attended over 50 film festivals and was the recipient of numerous awards. Additionally Danielle is the recipient of a Cine Golden Eagle Award, Accolade Award, the New York State Council of the Arts Grant, and First Pix NextPix. She is also a guest writer and contributor to ONE.org and the proud new mom to a baby girl!